Students looking to go to college or university in Canada after graduating from their English programs at VGC have the opportunity of accessing our network of accredited universities and colleges in Canada and the United States. VGC International College holds pathway agreements with universities and colleges in North America that allow seamless entry without having to write the TOEFL test or IELTS test. The universities and colleges in the VGC pathway network provide accredited technical, undergraduate and graduate programs in various areas of study. VGC has a pathway department dedicated to providing personalized attention and guidance to students interested in applying to one or more of our partner colleges and universities in Canada and the United States. Let’s find the perfect fit for you and take the next step to your academic future. 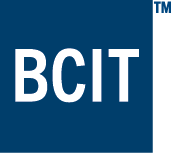 At BCIT, entrance requirements are program-specific. All programs require English 12, but the grade level varies. Be sure to check the specific level of English required by your program (e.g. 67% in English 12). Aside from the VGC Pathway, students can also take IELTS or TOEFL preparation classes at VGC and apply by using the official test score. For specific IELTS and TOEFL requirements, please refer to our partner’s website. Camosun College is located in beautiful Victoria, British Columbia. Our two campuses serve approximately 19,000 learners a year in certificate, diploma, bachelor’s degree and continuing education programs. Our education offerings include university transfer and applied degree programs; career and trades training; upgrading and preparatory programs; and continuing education. Camosun College has earned an outstanding reputation for teaching excellence—we’re proud of our faculty, staff and students, and the fact that we provide one of Canada’s best learning experiences. We’re large enough to provide great services and facilities for a vibrant campus environment on beautiful Vancouver Island, yet small enough to offer students the individual support, care and attention not found in most post-secondary institutions. Successful completion of University Preparation Advanced with 75% or better will be admitted to Certificate, Diploma, and Bachelor programs. Selkirk College is a degree granting community college with 8 campuses throughout BC. Selkirk offers a variety of part-time, full-time and on-line courses. Programs are available through their Schools of Business and Aviation, Digital Media and Music, Health and Human Services, Hospitality and Tourism, Industry and Trades Training, Renewable Resources, University Arts and Sciences, Adult Basic Education and Transitional Training and Kootenay School of the Arts. is a degree granting community college with 8 campuses throughout BC. Selkirk offers a variety of part-time, full-time and on-line courses. Programs are available through their Schools of Business and Aviation, Digital Media and Music, Health and Human Services, Hospitality and Tourism, Industry and Trades Training, Renewable Resources, University Arts and Sciences, Adult Basic Education and Transitional Training and Kootenay School of the Arts. Completion of University Preparation Advanced with 75% or better will be admitted to Selkirk College University Arts and Sciences, Associate Degree, or Diploma programs. Completion of University Preparation Intermediate with 75% or better will be admitted to Selkirk College Advanced 5 English Language Program and into the College English (ENGL 051). The University of Regina is a public research university in Regina, Saskatchewan that offers a broad spectrum of degree options. The University of Regina is well known for its highly developed co-op education programs and personalized service to international students. Successful graduate students from VGC International College are accepted to the University of Regina without any further proof of English. This means you do not need to take IELTS or TOEFL exam! Successful completion of University Preparation Advanced (80%+) will allow access to undergraduate programs. A global, private institution of higher education, NYIT has 14,000 students on campuses in North America, China, the Middle East and online. Since 1955 NYIT has provided career-oriented professional education. NYIT Vancouver offers an MBA program. Successful completion of University Preparation Advanced with 75% or completion of University Preparation after one month with 80% will allow student direct entry into its MBA programs. VGC is committed to providing its students with highest quality programs and options for their future. Our programs have been selected by some of the best university and career colleges in Canada. That’s why we are pleased to announce the addition of Canada’s premiere film schools, the Vancouver Film School as our latest pathway partner. Vancouver has one of the largest film industries in the world and one of the best schools for aspiring film and design students. VGC will provide you with the English and VFS will help you secure an exciting career in the film industry. VFS has 13 world-class post-secondary programs that have produced Oscar and Emmy award winning alumni. Successful completion of Level 7 with 70% or more allows direct entry to programs with VFS Level 1 language requirement. Successful completion of Level 7 with 80% or more allows direct entry to programs with VFS Level 2 language requirement. John Casablancas Institute (JCI) is widely recognized as the industry leader in providing job-ready training and has been setting the standard for artistry and innovation for over 30 years. Established in Vancouver since 1978, JCI continues to stand behind top professionals in the areas of fashion, make up, hair and esthetics. With note-worthy careers as award-winning makeup artists, international stylists, skilled spa technicians and cutting edge hairstylists, graduates of JCI continue to shine. Successful completion of University Preparation Level 5 will allow direct entry to their Fab Make Up Certificate, Makeup Artistry Diploma, Hair Art Design Diploma and Body Spa Esthetics Diploma. Successful completion of University Preparation Level 6 will allow direct access to their Fashion Business & Creative Arts Diploma and Core Fashion Design Diploma. RED Academy is a leading design and technology school with locations in Toronto, Vancouver and London. Own programs are lovingly designed by an experienced team of seasoned industry professionals, providing our students with the right skills, tools and personal support to get ahead in today’s fast-paced tech industry. Successful completion of University Preparation Advanced with 75% or higher. Douglas College is recognized as providing the most inspiring and relevant undergraduate educational experience in B.C., filling a niche between universities and colleges by combining the academic foundations of a university with the employer-ready skills of a college. Here at Douglas we inspire our students to do what they love and be good at it, providing educational experiences that challenge, enlighten, and open doors to lives of passion and purpose. Founded in 1942, FDU is New Jersey’s largest private University, serving nearly 12,000 graduate and undergraduate students, including more than 1,000 international students from around the world. The University’s two US campuses are in northern New Jersey, near New York City. In addition to FDU-Vancouver, the University owns and operates a campus in Wroxton, England. By having a campus in Vancouver, Canada, FDU can provide students with global experience of having American degree that is recognized in both US and Canada. Completion of University Preparation Advanced with 75% or higher plus a 4 year Bachelor’s degree allows direct entry to Pre-Master Program. Completion of University Preparation Advanced with 75% plus a score of 15 or higher on FDU Placement Test allows for direct entry into regular undergraduate or graduate program admission. Since 1982, the Manitoba Institute of Trades and Technology has provided secondary and post-secondary students with applied skills training for careers in Health Care and Human Services, Information and Business Technology, and Skilled Trades. In addition, they have provided students with a competitive edge by using leading-edge technology and training from expert instructors. MITT graduates boast an average employment rate of 88% in their field of study, and alumni have gone on to move and shape Winnipeg’s economic and industrial landscape. Successful completion of University Preparation Advanced with 75% or higher will allow direct entry into academic certificate and diploma programs. Royal Roads University in Victoria, BC offers a progressive model of post-secondary education. Online distance education with on-campus residencies, create a vibrant learning experience where personal growth is as important as academic achievement. Royal Roads University offers applied and professional programs at both the undergraduate and graduate level, focusing on graduate level career development. Acsenda School of Management is an international business management and leadership institution that offers undergraduate programs in the province of British Columbia, Canada. We emphasize a unique combination of small class sizes, open access to instructors and the use of the latest technology. We are able to get to know our students. We understand their strengths and work with them directly to foster a deeper level of critical thinking and business management knowledge. Successful completion of University Preparation Advanced with 75% or higher will allow direct entry in Bachelor of Business Administration and Bachelor of Hospitality Management. VanArts (Vancouver Institute of Media Arts) is one of the world’s most highly respected post-secondary schools for visual, media and performing arts. Founded in 1995, VanArts offers a variety of one-year professional diploma programs. Benefits to studying at VanArts include a world-class faculty of industry professionals, specialized curriculum adaptable to the changing needs of the workforce, small class sizes, an international network of students, and being located in Vancouver, the world’s #1 center for film & media, animation and VFX production. Our graduates are working all over the world in successful careers. VanArts also has degree pathway partnerships with several universities and colleges in the UK, Australia, New Zealand and North America. These degree pathways allow our graduates to have the option of completing a BA degree in as little as one year of continued study, opening more doors to career advancement. Successful completion of University Preparation Intermediate with 75% or higher. Founded in 1997 by Sue Singer, the Institute is located in Vancouver, British Columbia Canada at the entrance to Granville Island (named top neighbourhood in North America by U.S. City Ranking Organization’s “Project for Public Spaces”) and is Vancouver’s Premier Culinary Centre. This accredited, private and co-educational culinary institute provides students with world-class training in a setting filled with both cultural and recreational opportunities. With everything from casual classes to wine programs, our award-winning Bistro 101 Restaurant & Bakery 101 Café, a wide array of corporate events & catering, and of course, our Professional Diploma Programs in Culinary Arts and Baking & Pastry Arts, there is something for everyone here at PICA, including YOU! Successful completion of University Preparation Intermediate with 75% or higher or completion of Global English Level 6 will allow direct entry. Seattle Central College offers a variety of professional, technical and university transfer programs. Every year, more than 500 students transfer to Washington State universities from Seattle Central College. SSC opened a $26 million Science and Mathematics building in 2006. SSC was rated at the top community college in the USA by time magazine and 2001 and has continued to be ranked highly for its high standards and ability to help students reach their goals. Successful completion of IELTS Preparation Level 8 or University Preparation Advanced. With over 20,000 students and 88 undergraduate majors, the University of California, Riverside, is your pathway to success! Your future doesn’t just happen. You dream it. You design it. You build it. And this is where it all starts with a world-class education from a highly ranked and internationally respected university. Come to the University of California, Riverside, and invent your future. Successful completion of University Preparation Advanced. The University of Michigan–Flint (commonly referred to as UM–Flint), is a comprehensive public university located in Flint, Michigan in the United States. It is one of the two University of Michigan satellite campuses providing the state with excellent undergraduate and graduate program options. UM–Flint is also currently the fastest growing public university in the state of Michigan with students hailing from over 37 different countries, allowing you to get a truly international education. Texas Wesleyan is a private, affordable university on a safe, small campus in Fort Worth, Texas. With a focus in the liberal arts and sciences, education, and business, Wesleyan is where motivated students prepare for graduate school and leadership in professional careers. The University actively seeks and employs faculty and staff with a commitment and dedication to teaching, inspiring, and serving students. Successful completion of Global English Level 7 or IELTS Preparation.